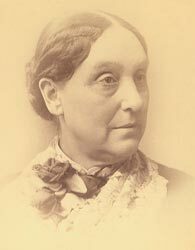 Abigail Scott Duniway, born October 22, 1834, was an indefatigable leader in the women’s suffrage movement in Oregon and the Northwest. In her life she encountered both personal setbacks and political obstacles. She suffered poor health, money problems, and opposition from her own brother Harvey Scott, editor of the Portland Oregonian. She met with local resistance to women’s suffrage, witnessed the consistent failure of women’s suffrage referendums on state ballots, and grappled with divisions with Eastern suffrage organizations. Yet she persisted, and her steadfast determination paid off in 1912 when Oregon became the seventh state in the Union to pass a women’s suffrage amendment. Governor Oswald West asked Duniway to write the proclamation for his signature. Duniway had the honor of being the first woman to register to vote in Oregon. Abigail Jane Scott Duniway died on October 11, 1915. This collection contains documents pertaining to Duniway’s suffrage work, her correspondence, published and unpublished literary works, and newspaper clippings and scrapbooks detailing Duniway’s political and social work.